If you're into scuba diving then you probably already know that Key West, Florida has long been considered one of the premier destinations in the world for scuba enthusiasts. There's no better place to start your adventures if you're a beginner than with the area reefs and numerous shallow water areas. There are a vast number of spectacular dive sites to explore including the many living reefs and ship wrecks in the area, including the grand daddy of them all the Gen. Hoyt S. Vandenberg. The Key West charter dive boats all have an impressive safety records and they have one thing in common, a passion for diving with a desire to share the adventures and beauty of the Keys. 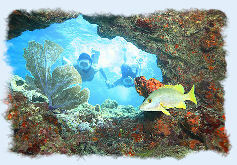 If you are going to dive the Keys you should prepare a list of the dive sites you would like to see. Check with the different dive boats to see which areas and places they go before making your decision. They all will bend over backwards to make sure that you experience the trip of a lifetime! Take advantage of this fun sport on your next Florida vacation. Dive Key West offers one of the biggest dive charters in the Florida Keys. They have a reputation of providing excellent service and a history of many satisfied divers. They are a full service dive shop with everything you could possibly need to make yourmKey West dive trip a memorable one. Also located just a short distance from our condo rental, is Dreamchaser Charters. Dreamchasers operates out of a sleek modern forty two foot trimaran. 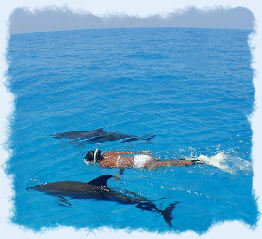 They will customize your scuba adventure to suit your desires. They offer sailing, swimming, snorkeling, fishing and even a sunset dinner cruise. You can also do a charter for a half or a full day, it's your choice. They can certify you and also provide you with guided dives. 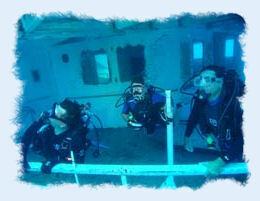 NAUI and PADI certification courses. such as Tech Dives and chasing lobsters. They operate one of the newest, fastest and custom built dive boats in Key West. Their vessel features a huge storage area, fresh water showers, clean restrooms, roomy dive platforms and photo and video camera tables. They offer refresher courses, open water, advanced, and referral certification. Their site features a list and description of some of the unique dive sites Key West has to offer. Another Key West full service dive shop that has a fantastic reputation of excellent customer service and a long list of satisfied customers. They offer all the various certification courses with very competitive pricing. They are located in the middle of Old Town across from the Hyatt and are the oldest PADI Five Star dive shop on the island. From the dive shop to the custom dive boat it's just a few feet which makes Subtropic the most convenient of the Key West dive charters. They run up to three trips each day and are the only dive company to take pictures of their guest divers and post them on their website. They offer certification and specialize in night dives. Captains Corner has been in business since 1985 and is located in the Old Town section of the town. Their sixty plus foot customized dive boat, the Sea Eagle, was featured in the James Bond movie "License to Kill". Although the folks at Captains Corner don't offer a license to kill, they do offer a full range of dive services and also instruction is available in both Spanish and German. Whether you are a beginner or an advanced diver, Captains Corner offers wide range of diving certification courses. If you are going to the Keys then you must plan on a trip to the Dry Tortugas National Park. The Tortugas are a string of tropical islands 70 miles to the west of Key West. It features spectacular white sandy beaches, coral formations, shipwrecks and Historic Fort Jefferson. The islands have an abundance of tropical birds and marine life as diverse as any place in the world. There are numerous charters or sea planes that go to the islands on a daily basis.